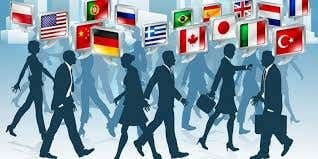 "International Freelance translators who provide high quality and error-free translations at reasonable rates" "As a professional freelancer, I always look to have good relationships with my clients" Understanding the value for time we believe in completing projects before deadline without compromising on quality. Our team of experienced professionals offers top quality translation, transcription & interpretation services in a wide array of subject areas. We help bring your world together by bridging the communication gap. Beyond accuracy and efficiency, we pride ourselves on service to our clients. Our promise is that you will have a personalized experience with a high qualified team of experts, laser focused on the success of your project. Our services are tailored specifically to and your audience, which will ensure that your project has the very possible outcome. 24/7 Support!